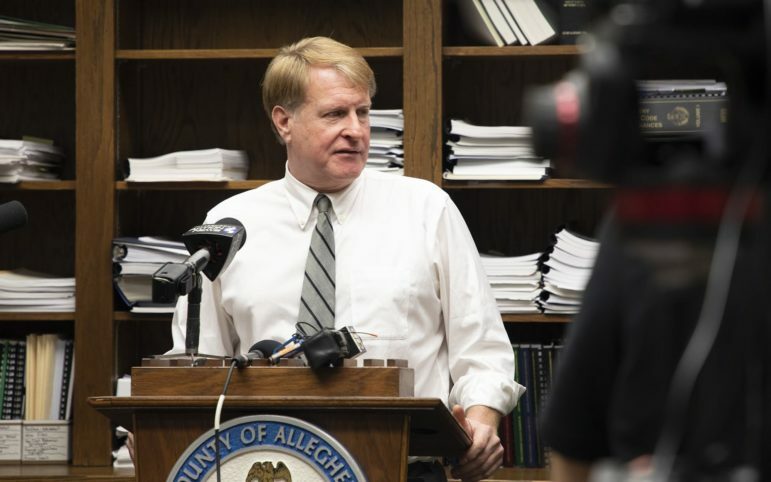 Pittsburgh Mayor Bill Peduto and Allegheny County Executive Rich Fitzgerald said they will provide an overview of the proposal, including information about incentives, at a press conference planned for Thursday. The event will be livestreamed on the county’s Facebook page. On Tuesday, the pair said the information they release may not include details about certain sites or certain incentives offered to Amazon. It is also unclear what the public will learn about incentives the state offered. Amazon made the plans for its second headquarters, dubbed HQ2, official Tuesday morning. The corporate giant announced that it chose New York City and Arlington, Virginia, to be the homes of its dual-office HQ2. Both jurisdictions will get 25,000 employees and several billion in investments. Amazon also announced Tuesday that Nashville, Tennessee, would be the home of a smaller operations center with 5,000 employees. You can read all of PublicSource's Amazon HQ2 reporting here. Pittsburgh submitted its 300-page bid in October 2017 in cooperation with the county and the Allegheny Conference on Community Development, which created the PGHQ2 subsidiary to manage the process. Out of 238 bids, Amazon chose Pittsburgh as one of 20 finalist cities. Conference spokesman Phil Cynar released a statement Tuesday, indicating the bid would be released this week and noting that it included two “local investment packages” that did not divert any current city or county revenue to Amazon. Rather, the bid included a proposal that would allow the city, county and Amazon decide how to spend the new tax money the company would bring to the region. 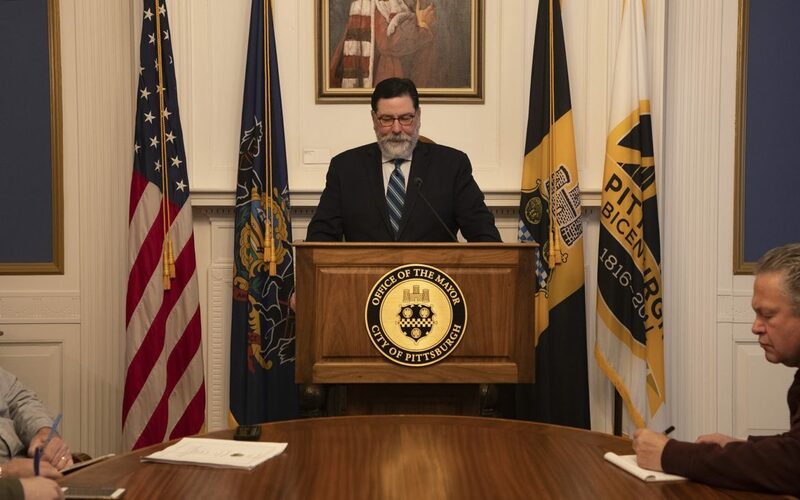 Before the bid can be released, however, Peduto said he first needed to review the non-disclosure agreements city officials signed to ensure releasing the bid wouldn’t violate terms of those agreements. He said the city would release details about the tax incentives it offered, which included pooling the tax money Amazon would have paid on property and incomes and giving the company a say in how that money would be spent. Peduto framed it as a way to reduce the potential harms of Amazon locating in Pittsburgh, like increased cost of living and stresses on transit and other infrastructure. “What Amazon said they wanted was a partnership and so our idea of a partnership meant if you were going to come here, what new revenue would be derived by your coming to Pittsburgh and how could we direct that revenue into the areas where the potential harm could come from their coming here?” he said. Peduto said Amazon’s tax revenue would have been spent in four areas: affordable housing, transit, including improvements to the Port Authority’s light rail system, water and sewer infrastructure, and job training. Other cities, like Chicago, offered Amazon a similar deal where its tax money would be pooled and the company would have a say in how the money gets spent. Like Pittsburgh, Chicago was named as one of Amazon’s 20 finalist cities in January. Like Peduto, Fitzgerald said on Tuesday that the county would release information about the incentives it offered. At the state level, the Department on Community and Economic Development [DCED] created the incentive package for the Amazon proposals from Pittsburgh and Philadelphia. City, county and other local officials signed non-disclosure agreements with DCED last year, promising not to release information about the state’s incentives. Fitzgerald said he would talk with DCED officials between Tuesday and Thursday about whether the state’s incentives could be released. He explained that when the city and county were assembling the bid, they included sites they have a say over, like the 178-acre Hazelwood Green site, as well as privately owned sites. Information about the private sites is likely to be withheld, Peduto said. Peduto and Fitzgerald said they would not appeal a ruling by Allegheny County Judge Terrence O’Brien to make the bid public by the end of November. The decision would end a nearly 10-month legal battle between the two local governments and multiple news outlets, including PublicSource, all of whom had filed Right-to-Know Law requests for the bid. After the Pennsylvania Office of Open Records ruled in January and February that the county and city should release the bid, both appealed to the Allegheny County Court of Common Pleas. Another big question for Pittsburgh and the cities hoping to land HQ2: Was it worth it? What was the cost of compiling the bid, legal fees shielding its secrecy and staff time of city, county and state officials involved in luring Amazon? The mayor and county executive said on Tuesday they felt the venture was worth the time and cost but neither were able to provide an estimate of how much money or staff time was spent putting the bid together. Neither had figures on Tuesday for how much had been spent on the legal cases to keep the bid secret between January and Oct. 31, when O’Brien issued his ruling. Once the bid is released, Peduto said, the city could begin using the information compiled within it to lure other companies to Pittsburgh or to aid those already here. “There's a lot of takeaways from this and right now my concern is, how do we use the information that we submitted to be able to create better economic development strategy for the city and the region,” he said. In a statement Tuesday afternoon, Allegheny County Controller Chelsa Wagner called for the city and county to release the bid, particularly because it could be a roadmap for future development. Other cities that competed for Amazon have similarly said they plan to recycle their bids and use them for marketing and economic development. Peduto defended the city’s approach to development, saying that it routinely keeps potential deals secret until it’s necessary for public approval. Even though Amazon collected “a ton” of data on Pittsburgh, Peduto said participating in the bid process was positive for the city.